Sara Goldstein focuses her practice on legal issues related to privacy and data protection. 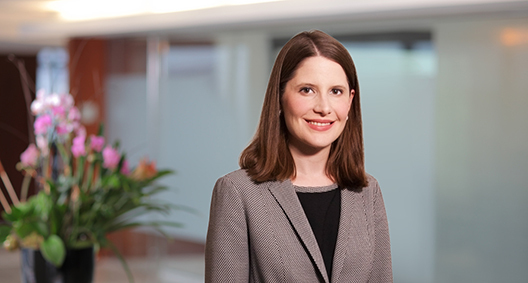 As the former vice president and general counsel of a large provider of release of information and disclosure management services, Sara was responsible for overseeing all of the company’s legal and compliance-related matters. This experience gives her a depth of knowledge regarding her clients’ needs, bringing a business-oriented perspective to her practice and allowing her to provide legal guidance that is realistic and practical for her clients. Sara has authored a variety of industry-related articles in publications such as the Journal of the American Health Information Management Association (AHIMA), The Group Practice Journal, Compliance Today and RACMonitor.com. She has been invited to speak to organizations across the country about release of information, compliance with federal and state medical privacy laws, and breach prevention. She is also an adjunct professor of law at Drexel University, where she teaches a course on HIPAA and patient privacy. Served as vice president and general counsel for a 650-employee company that provides disclosure management and release of information services to more than 4,000 healthcare providers in 47 states and Puerto Rico. Drafted company policies and procedures and business associate agreements. Provided guidance on health information management and privacy to healthcare providers across the country. Assisted clients in drafting responses to regulatory agency requests for information.